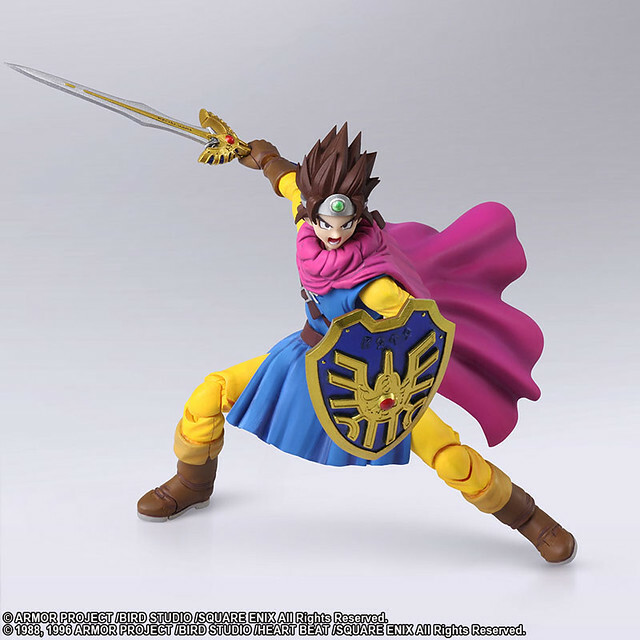 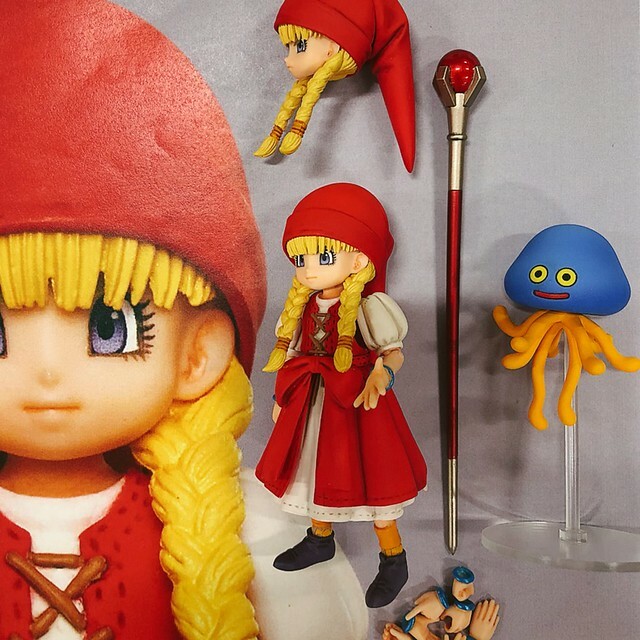 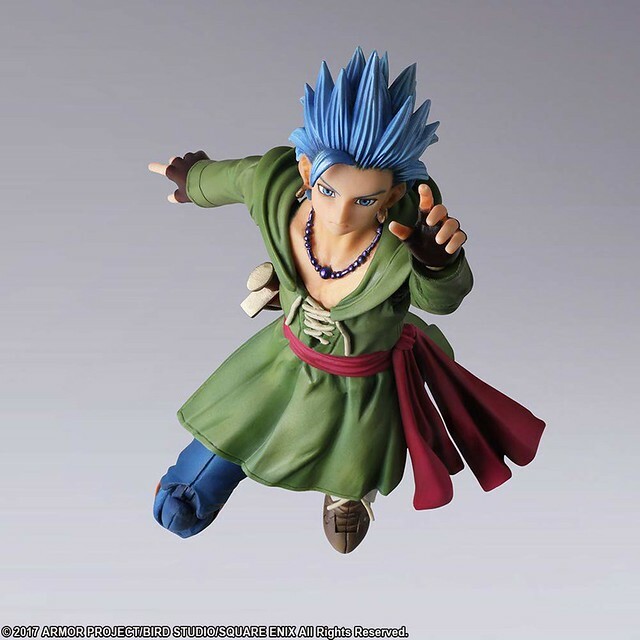 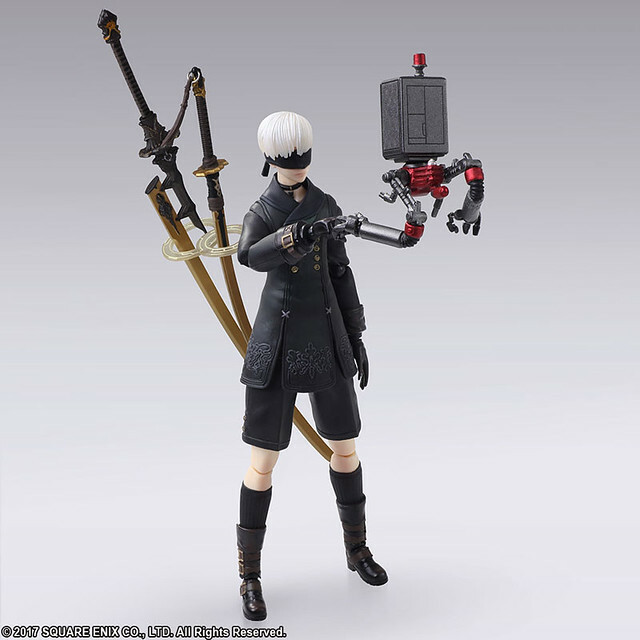 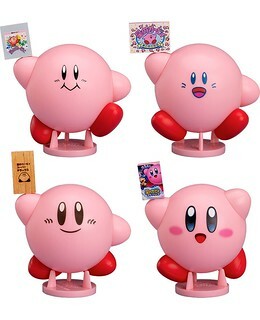 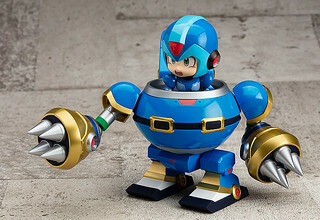 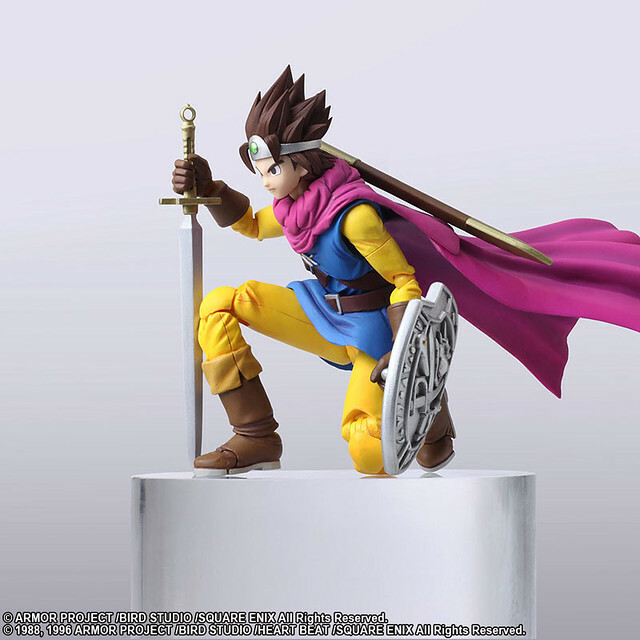 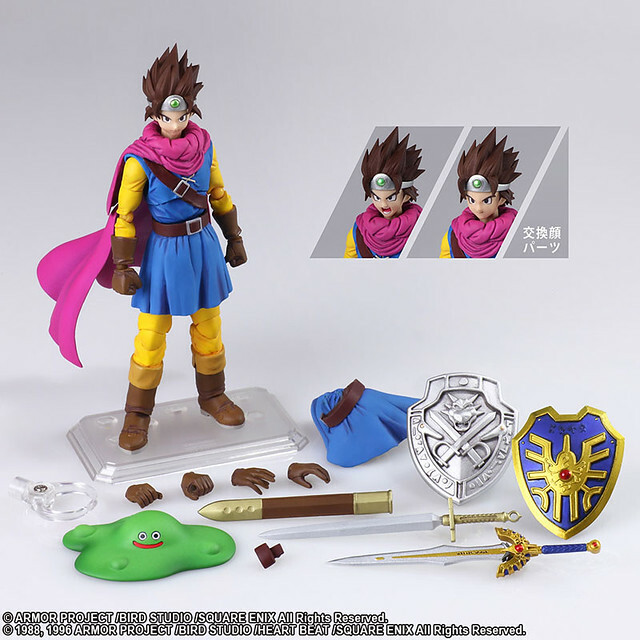 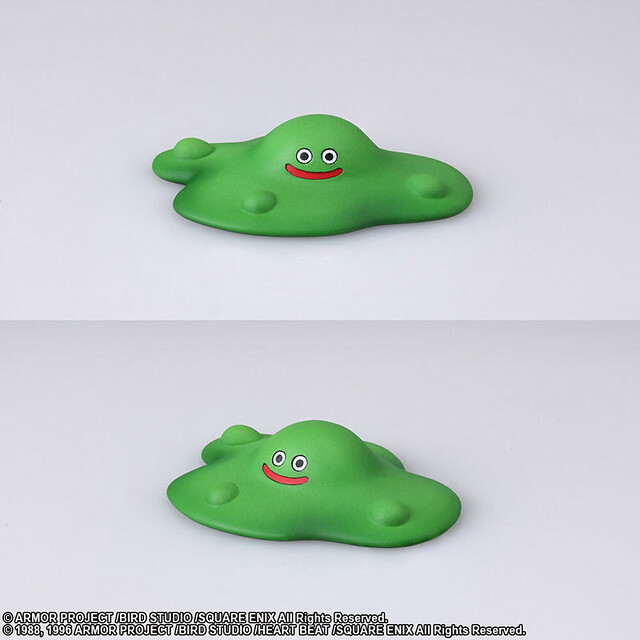 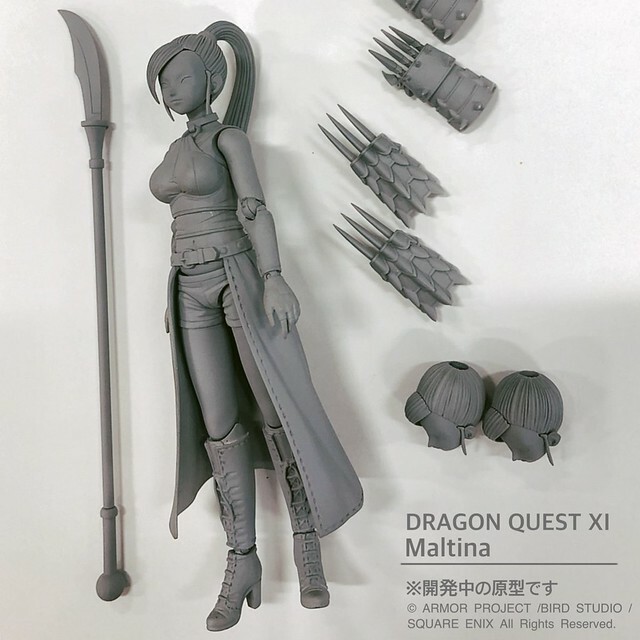 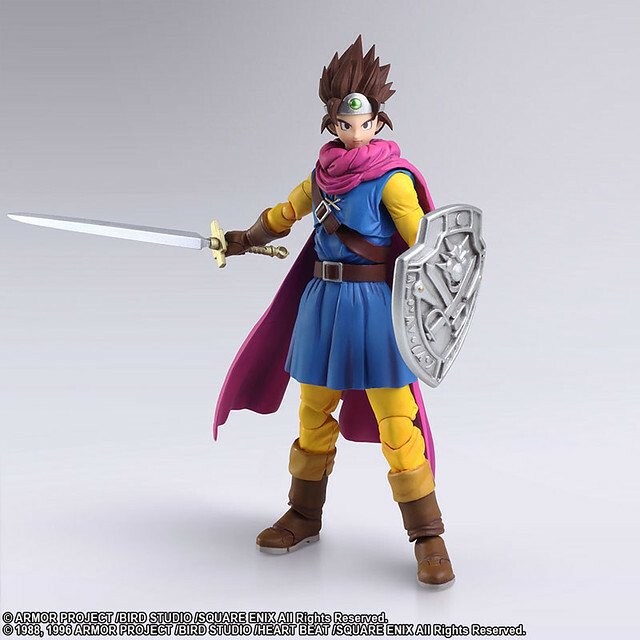 Published by Square Enix, Bring Art 6 inch action figure recently announce Hero from Dragon Quest III: The Seeds of Salvation on its official site with promo images and release info. 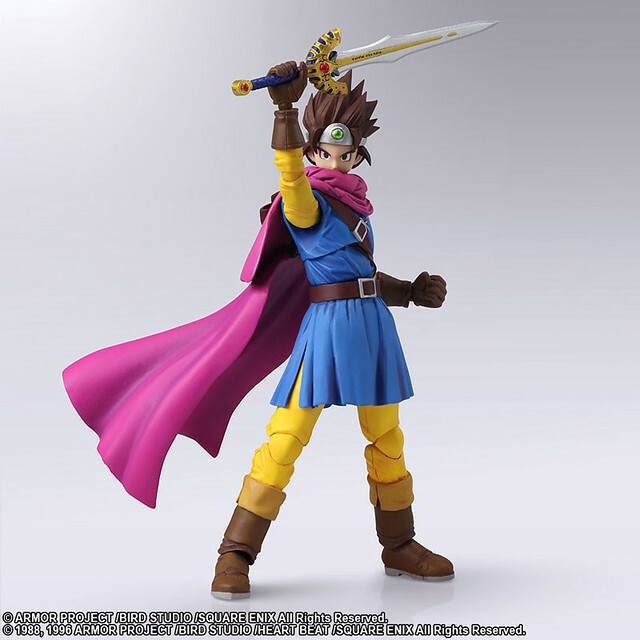 Recreated Hero from 'Dragon Quest III' design by Akira Toriyama, it includes sword and shield, Erdrick’s sword and shield, four exchangeable hands, two faceplates, Slime, stand and base. 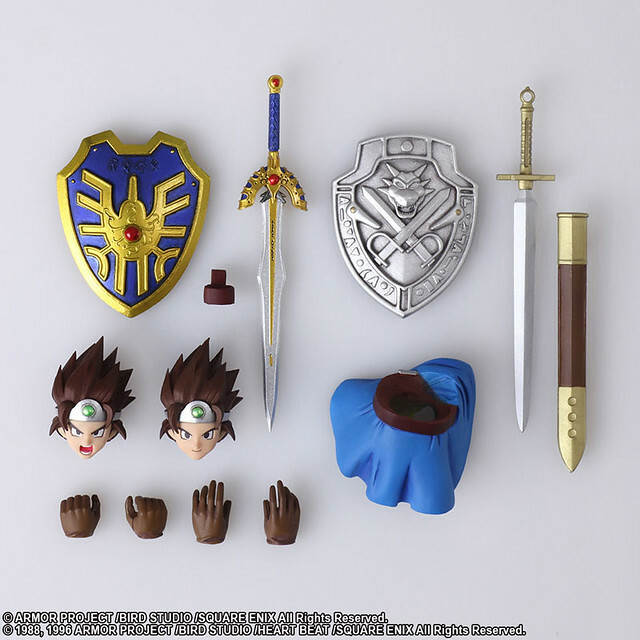 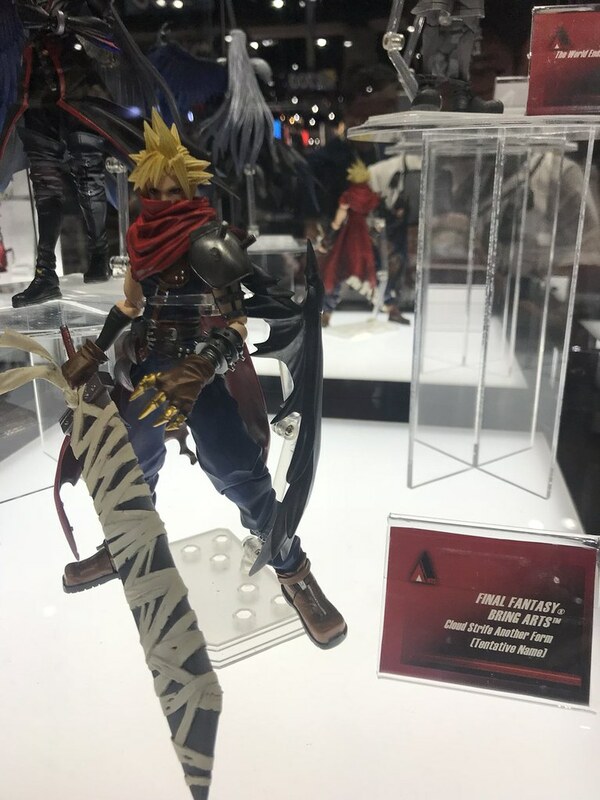 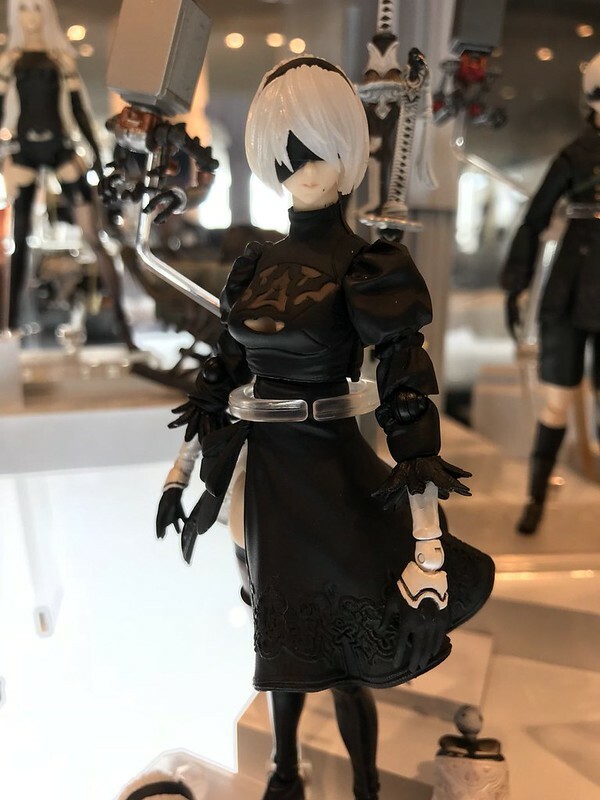 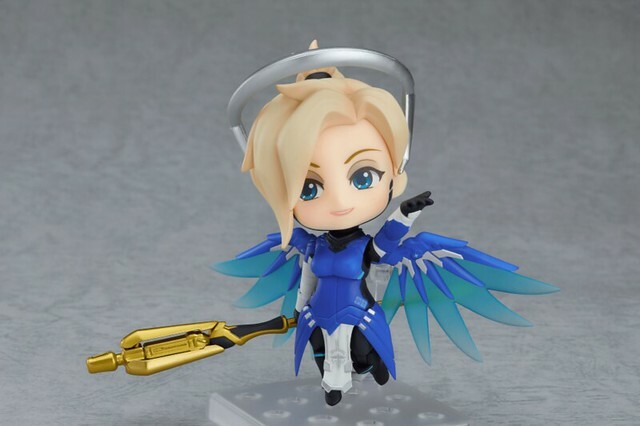 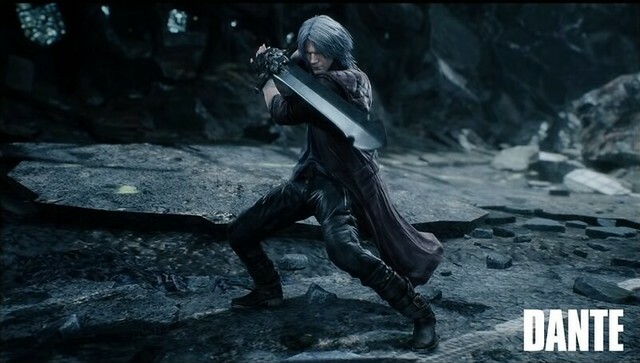 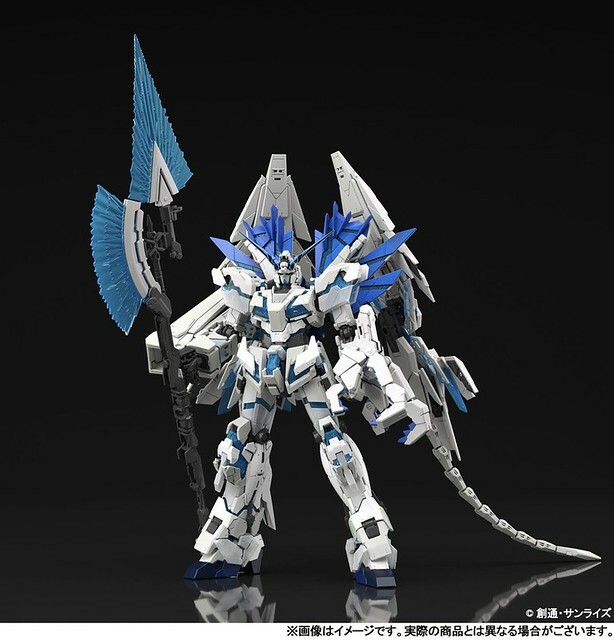 Also included is a special waist piece that enables it to crouch, additionally the weapon uses metallic paint to simulate metal texture. 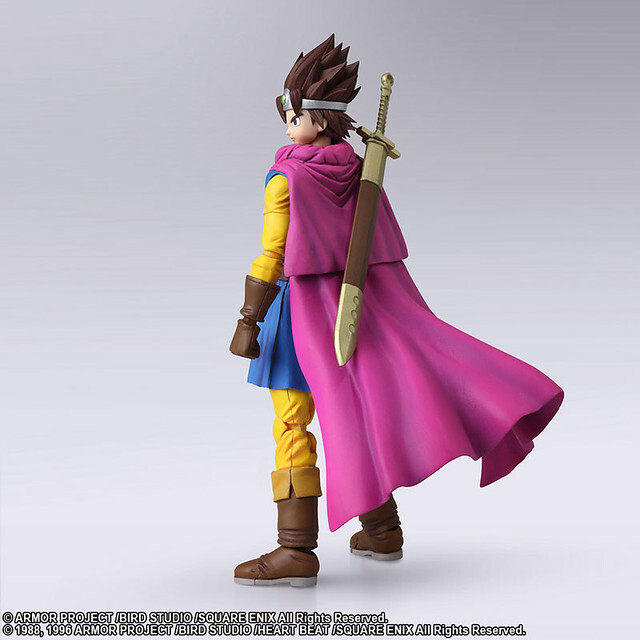 If you're a fan of 'Dragon Quest III' have a look below! 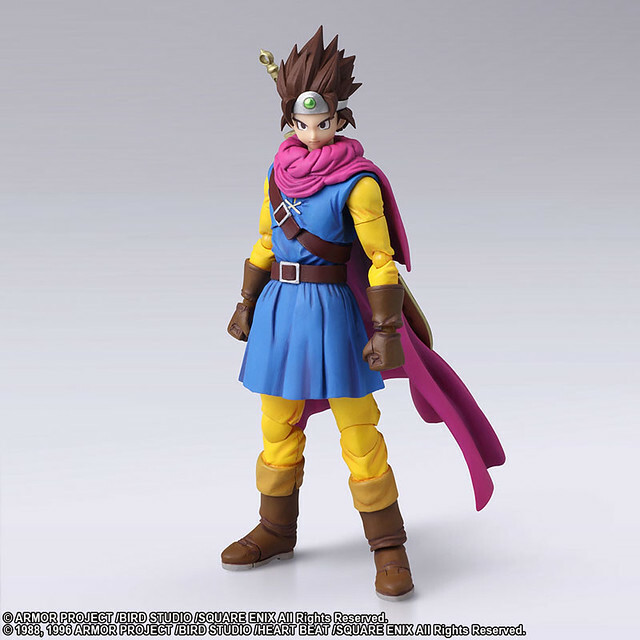 'Dragon Quest' is a JRPG developed by Yuji Horii and Armor Project company. 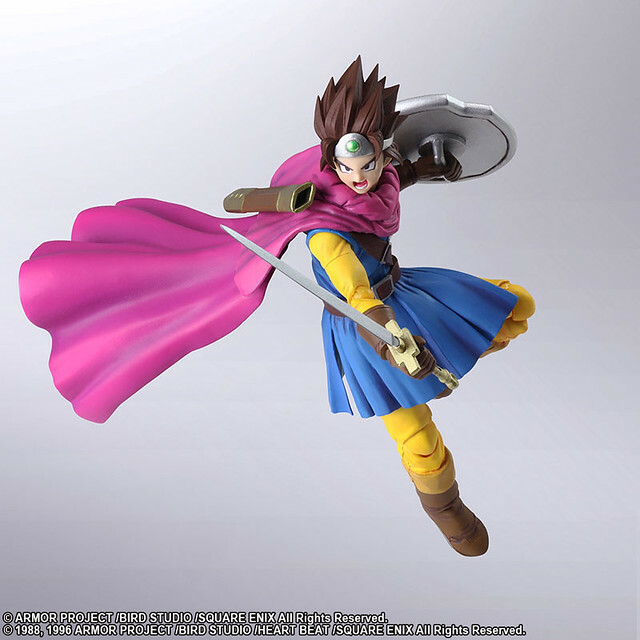 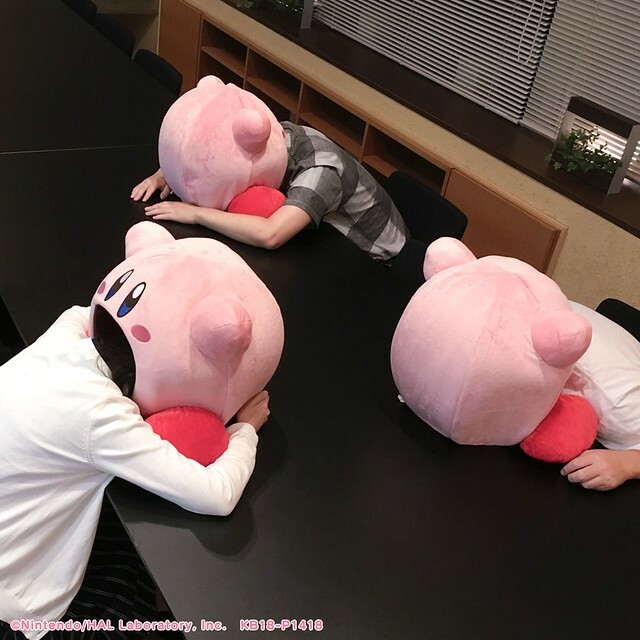 Publish by Square Enix in Japan and Nintendo everywhere else, most Dragon Quest game has player control "Hero", on the quest to save the world from evil forces along with his or her companions.